What Jenkins Actions and Triggers are Supported? 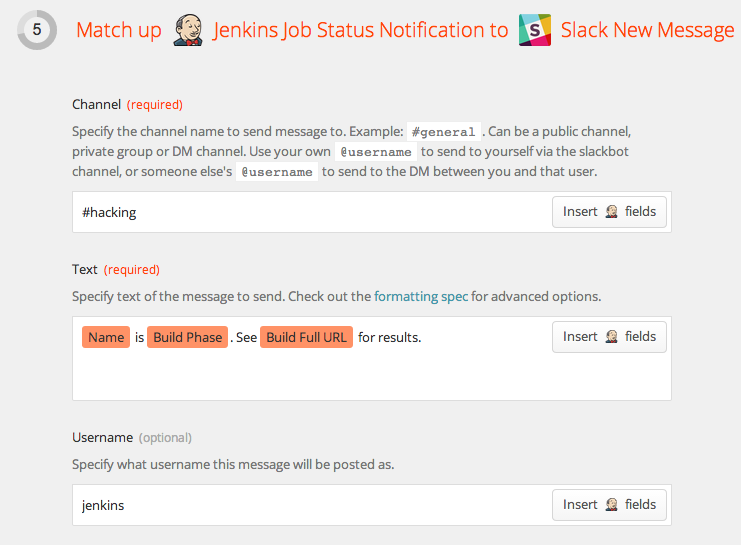 The jenkins integration on Zapier actually uses a webhook notification plugin rather than communicating with the Jenkins API. For most people Jenkins typically has the proverbal "keys to the kingdom" so we've opted to use the notification plugin to avoid making people open their jenkins server up. Locate the Notification Plugin and check the checkbox to install it! 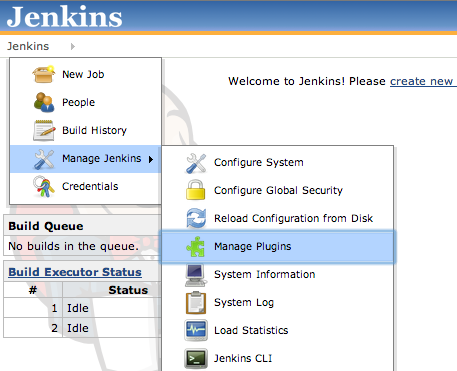 Create a new Zap using Jenkins as the trigger (in this example we'll push to Slack). Copy the webhook URL from step 2 to a notification endpoint by creating a new notification endpoint in jenkins. Map your fields to the action in step 5. Run a single build, load the samples in step 6 and test the zap to see the output in your action side service. If everything goes well, turn the zap on and you're good to go! You can also add many endpoints to a single job, so you can have a ton of post-build operations that happen outside jenkins get kicked off.